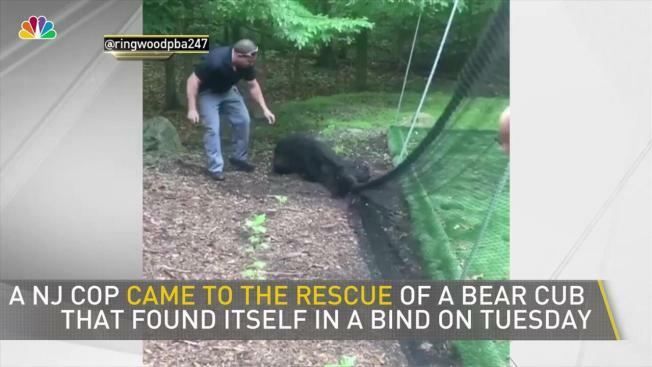 A panicked bear cub entangled in netting was able to make its great escape when a New Jersey police officer came to its rescue Tuesday morning. In a video posted to the Ringwood Police Department's union Instagram page, the large cub is seen frantically trying to escape the batting cage net in which it had somehow gotten itself knotted. Police detective Longo cuts at the net several times, creating a large enough opening out the back for the bear to pull through and escape. It quickly scampers back off into the woods. 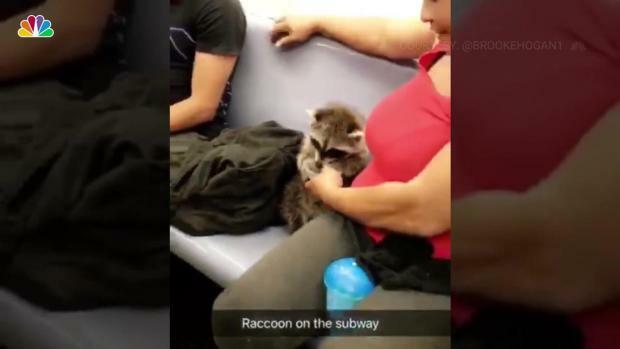 A raccoon amused fellow straphangers as it rode uptown on a 6 train Tuesday.Read more here. The Ringwood PBA says that animals, most commonly deer, become entangled in soccer nets and other types of recreational netting and sometimes die. "We urge residents in high animal traffic areas to take down nets when not in use," says Ringwood PBA. "Good job, Longo!"